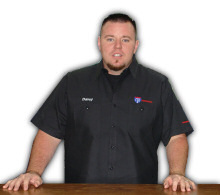 Why come to us for Dallas transmission service and repair? Because you want the best transmission repair and service possible. We are locally owned and operated (a Hobart owned company). Our 35 years of transmission experience backs your repair. ASE certified. I-35 Transmissions employs qualified transmission technicians trained on all updates. Our fully equipped transmission service area can handle all transmission issues. Most of all, we take pride in our work and we want only satisfied customers. We serve Dallas, the Park Cities, Arlington, Grand Prairie, Ft Worth, Lancaster, DeSoto, Duncanville, Cedar Hill, Midlothian, Ennis, Waxahachie, Irving, the entire Dallas-Ft Worth area, and beyond. Why should you bring your car south of the Trinity? We can have your car towed from where you are. If we do a major repair, the towing is on us - it'll be free. It's easy to get here. Our shop is right on I-35, just south of I-20. Before taking your vehicle to any other Dallas transmission repair shop, compare its BBB rating to ours. And look at the industry comparison. We may be able to save you more than enough to make up for the trip. See what one Oak Lawn customer said about us in an unsolicited review at Yelp.com. Today we proudly say that honesty, fair prices and customer service have and will continue to grow our business and clientele for years to come. Need more to convince you about our automobile transmission shop? Because today's cars, trucks, and SUVs are controlled by computers, it takes a REAL transmission expert to properly diagnose a problem. The right transmission diagnosis can save you time and potentially a substantial amount of money. These problems require immediate attention - as they continue, the damage (and the expense) increases. Bring your car, truck or SUV to the car transmission experts at I-35 Transmissions for an External Transmission Diagnostic Service. Our certified transmission technicians will help get your vehicle back on the road as soon as possible. We are the transmission experts - and we'll fix your transmission right the first time. Let us be your money-saving transmission experts. All makes and models including luxury, performance and off road. Do you need a rebuilt transmission? Call the rebuilt transmissions experts at I-35. Bring your car or truck to I-35 Transmissions and let us fix or service your transmission problem. Our long time Midlothian transmission shop is now co-located with I-35 Transmissions. More info. We honor Extended Warranties. Extended warranties can be purchased at the time of sale when buying a used or new vehicle from a car dealer. Extended warranties can also be purchased at a later time from what is called an After-Market Warranty Company. It can certainly be a hassle to go back to the dealer or to contact a warranty company when there is an issue with your transmission. We can do everything for you. We will deal directly with them and save you from all of those headaches.